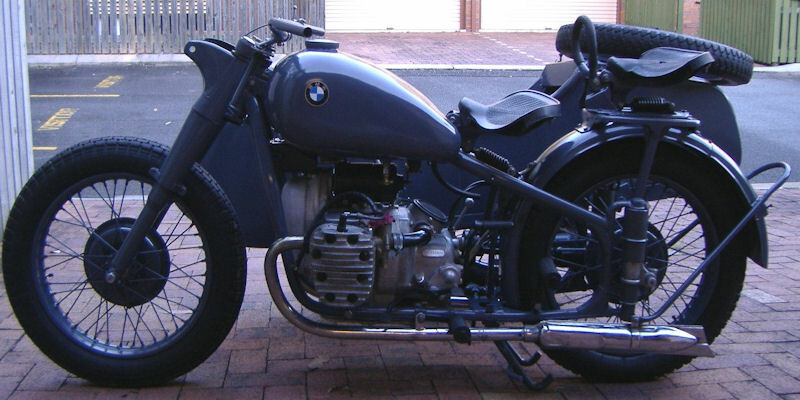 The true BMW R71 was produced between 1938 and 1941. 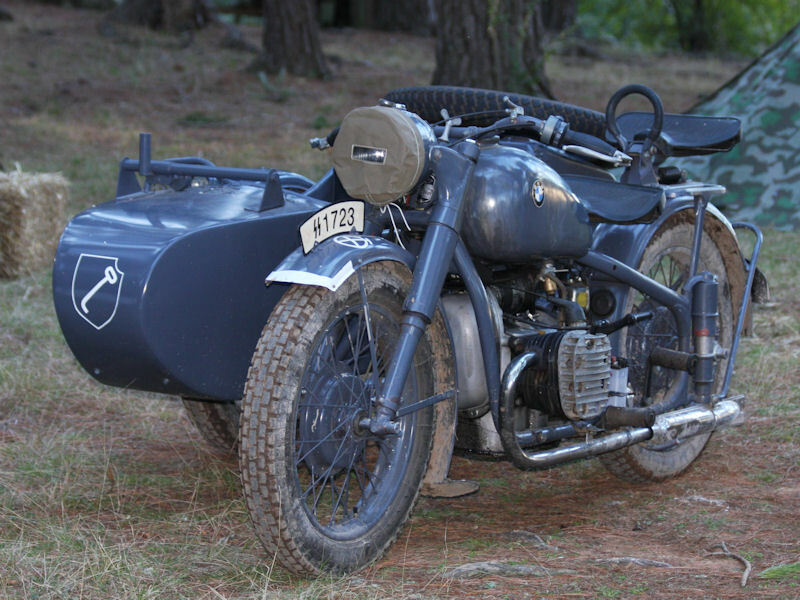 It had a Four-stroke two cylinder flat twin engine of 750cc, giving it a top speed of 125 Kph (with original sidecar, 105 Kph). 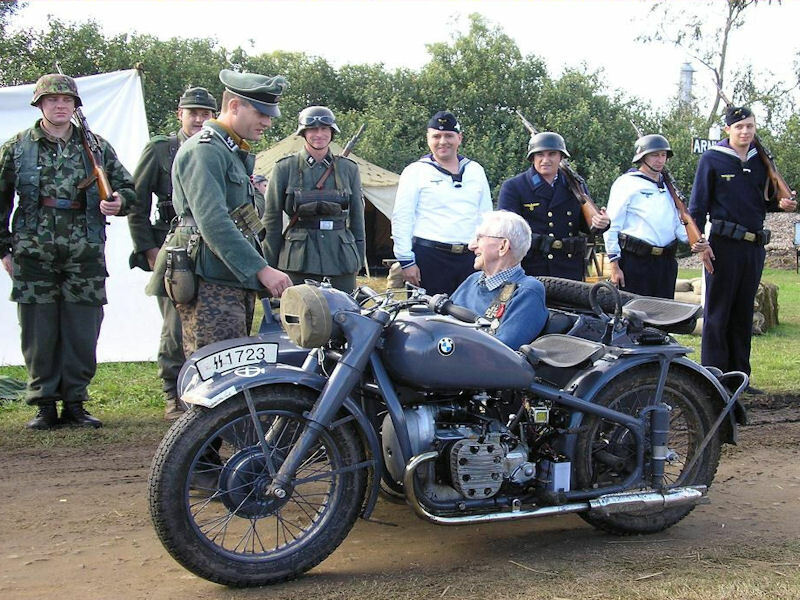 It was used by all branches of the German military and civil administration. 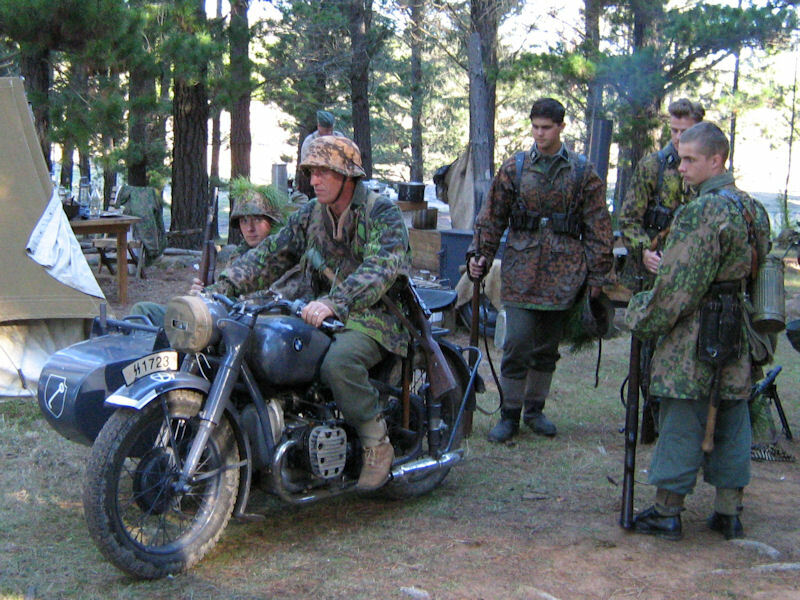 The examples that AGS utilise are Chinese made Chiang-Jeng 750 motorbikes (CJ750). 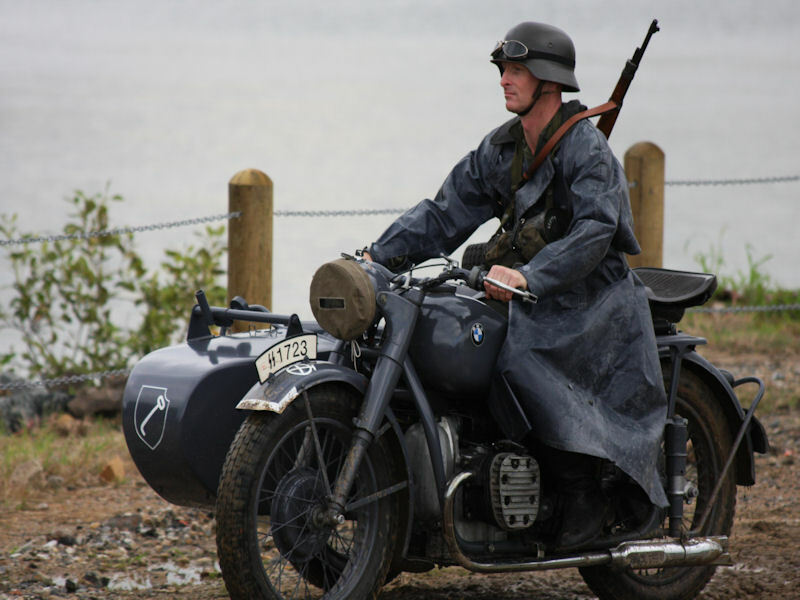 The CJ was produced in China based on Soviet era bikes which in turn were copies of the German BMW R71. 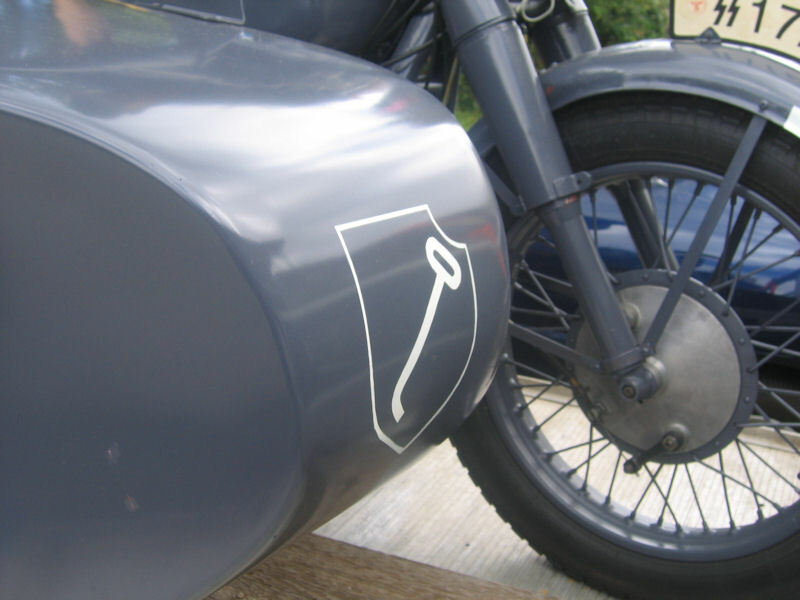 Some will be simply repainted, some will have varying degrees of small alterations made depending on the owner. 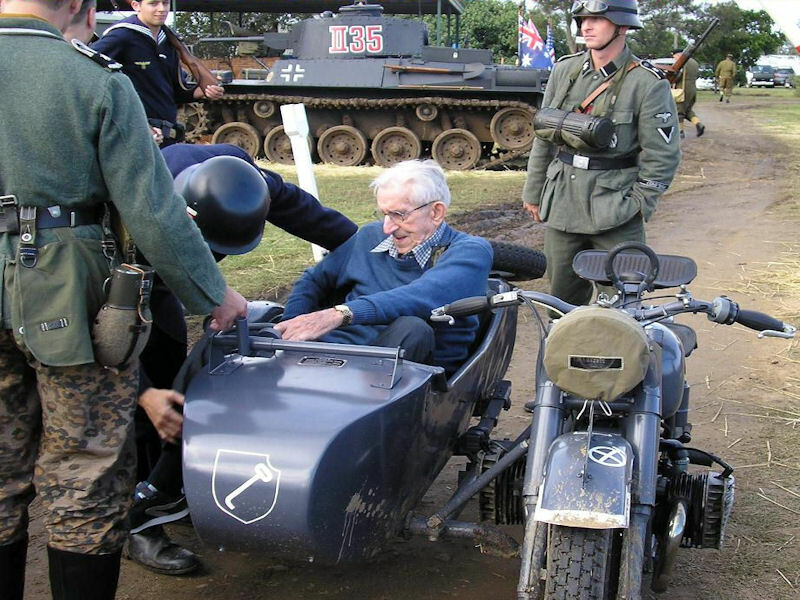 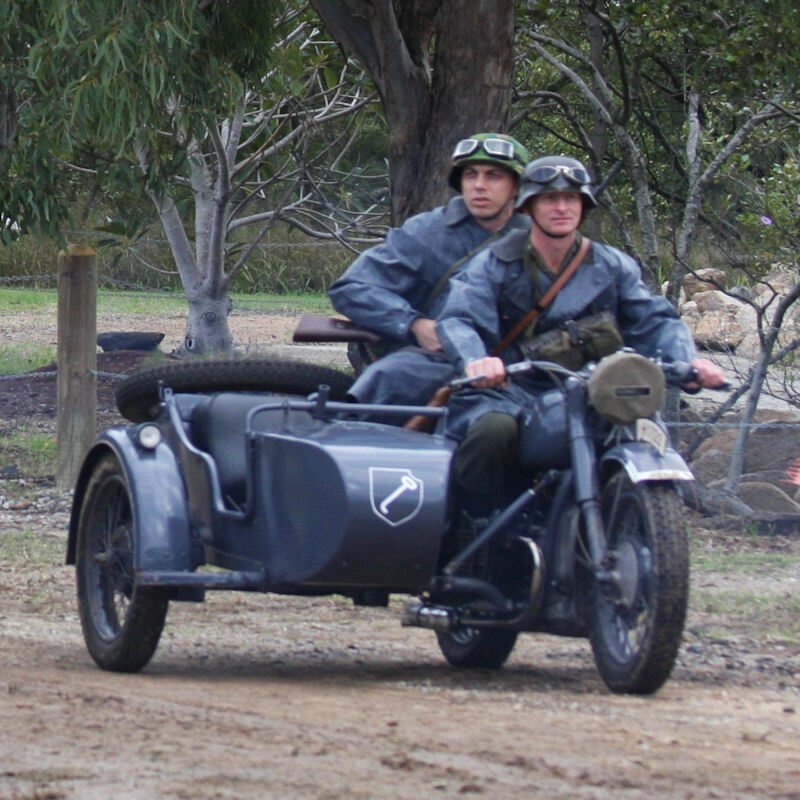 AGS members emphasise that these are merely replicas, providing a contextual view of bike use in the German army during WW2.